Not only is collecting football memorabilia an enjoyable hobby, it can also be a money maker. But do they know which editions to look out for or the worth of what’s laying around in their loft space? The first match programme was created not long after The Football League started 1888.
Who was the first team to give their fans a programme? One of the first programmes to be published was The ‘Villa News and Record’ for Aston Villa. Soon after, the football programme took on a weightier format of between four and eight pages, while the covers became more attention-grabbing and attractive. During and after World War II, a paper shortage cut the number of programmes that clubs could produce — making any that were released very collectible today. Football programmes have varied in size, they have grown from pocket-size to A4, with some clubs preferring the smaller option and others opting for the larger format. From a single sheet of basic info, the availability of saddle-stitch book printing and a growth in popularity turned football programmes into thick, glossy books crammed with trivia, statistics and high-resolution photos that fans loved to buy before every match. Many people still buy a football programme for the same reason they used to — to give spectators key details of players on each team. Although today, the programme can also act as a mouthpiece for the club in question, allowing managers and players to speak to fans via interviews and club statements. Can money be made from football memorabilia? Some people are surprised to learn that a lot of money can be made from football programmes. In 2012, a family from Ipswich managed to make around £46,000 by auctioning off a set of football programmes they stumbled across in their house, which goes to show how easy it is to not realise the treasure you have sitting around your home. On a separate occasion, Sotheby’s New Bond Street auctioned off the oldest-known programme from a FA Cup final — Old Etonians vs Blackburn Rovers in 1882 — for £30,000, while a single-sheet programme from the 1909 FA Cup final between Manchester United and Bristol City went for £23,500 in 2012. There are some editions that you should look out for in particular. Could there be any lying in your attic that you’d be willing to make a profit on? What are the most valued football programmes? Fans of football still enjoy collecting football programmes today, and many pride themselves on their collection. But how collectible are they and which should you search for if you want to bag a truly special edition? Do you fancy buying some programmes to invest in? Try finding the first Wembley final programme from 1923, which details the match between Bolton and West Ham United and is worth around £1,000. Alternatively, there’s the programme from the one and only time a non-English club lifted the FA Cup — Cardiff City vs Arsenal in 1927 — which ended with a score of 1-0 and has a value of about £2,500! When it comes to the most valued programmes, the 1966 England vs West Germany programme is potentially one of the most highly prized programmes in sport. But be warned; there were three reprints of the original, so tracking down a bona fide version is tough. If you want to be sure you’re buying an original, check the weight and colouring — the reprints are more lightweight, while the front cover of the original is a deep, royal blue. Different paper types are also used for the team pages in the original, but not in the reprinted versions. If you have a programme that was printed for a memorable game, you could be in luck. For example, there is an edition that was printed for the game that was cancelled following the 1958 Munich air disaster (Manchester United vs Wolverhampton Wanderers), which can go at auction for around £10,000, or the programme for the first match following the tragedy — the 19th of February 1958’s game between Manchester United and Sheffield Wednesday. In this programme, the club showed respect to those involved in the disaster by leaving the team page blank. If you’re not after big money, there are lower priced programmes that are also available. This includes a wartime England vs Wales international programme — which once sold for £750 — a 1932 Arsenal vs Manchester City — which reportedly made £520 — and a 1931 Exeter vs Leeds copy — which reached a decent £500. It seems to be that any programme from an FA Cup final match holds value, as does any booklet that was perhaps the first or final edition of a player’s/manager’s career (i.e. the last game David Beckham played for Manchester United). It’s fair to say that the programmes of certain football teams are worth more than others too. Although, programmes from your team’s past will be more personally valuable to you. Sides such as Manchester United, Chelsea, Liverpool, Spurs, West Ham, and Arsenal are all highly sought after and are worth keeping an eye out for if you want a particularly valuable item. The Football Programme Centre is also a good source of advice if you’re keen on becoming a serious collector. 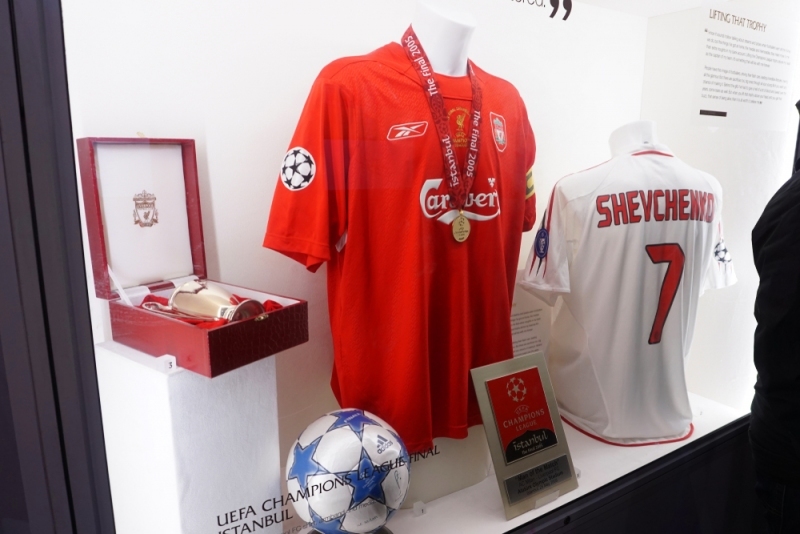 Memorabilia collecting is a hobby shared by many fans across the UK. So, why not keep yourself football-focused until the new season kicks off by learning more about the hobby? Where The Trade Buys are print experts and retailers, based online and in the UK. As well as offering top quality forex signs, they specialise in promotional and office print services for small and large businesses.